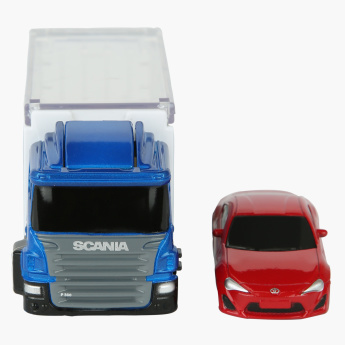 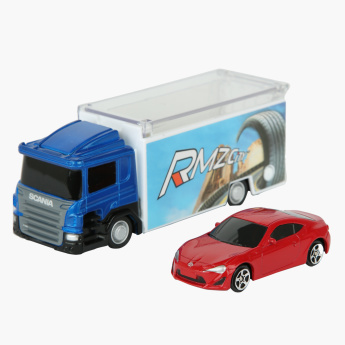 Your little boy will happily play for hours with this Scania truck launcher toy playset, which comes with a Toyota 86 model car and accessories. 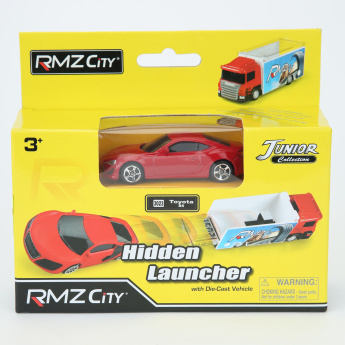 The durable material of this playset ensures that it is built to last. 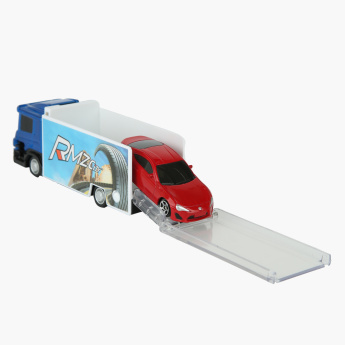 It features a built-in connector switch that lets you connect more launcher trucks when your little champ has friends over to play.